I love this size and the Flavors. Cherry could be little stronger on flavor. I wasn't sure I would like these. I typically smoke Drew Estate cigars and like most of the ACID line up. These cigars have a nice subtle flavor but nothing that is overwhelming and consuming. The draw was smooth and this stogie didn't last long! I like the flavored cigars and having a variety instead of one taste over and over is a plus. I find these to be the perfect size. Just enough to relax after work with my beverage of choice. Flavors are not over powering. Consistent tobacco flavor and burn in every stick. Nice variety to explore! As far as flavor cigars go I think CAO it's doing the right thing. As far best flavor cigars I hve found so far. A few in the bundle fell apart. But great budget cigar. I love love love full body cigars, but i do enjoy some sweet flavor after dinner so this was my number one choice since acid cigars are wayyyy to sweet for me. I really liked how protected they were during transit and having the humidifier eased my mind. After receiving them i was very happy with the presentation, A+. After a couple days of them chillaxing in the humidor i broke the honey flavor out. I was dissapointed at the difficult draw, flavor was spot on what i was looking for but as i continued, i could barely keep it lit, and constantly had to tidy up uneven burning, about 1/4 into it it began to get hollow spots in the ash, ash held on very well btw. And i noticed long creases like something hard ran the length of the cigar. Gave the cherry to a friend and he also had a hard time with the draw and keeping it lit. 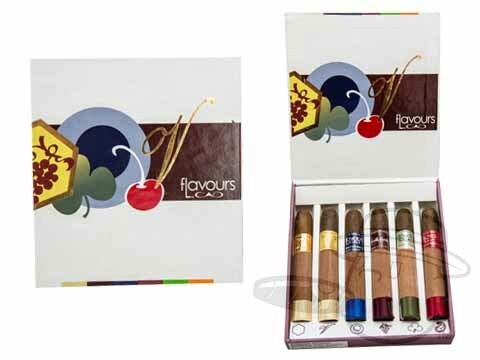 CAO Flavours - Petite Corona Sampler Pack is rated 4.1 out of 5 based on 16 customer ratings.